Perennials will come up and perform year after year in your garden. Perennials can be a lovely, reliable way to get healthy growth and beautiful flowers from your garden every year, without having to plan and buy plants all over again. Many homeowners want to embrace their roles as conservationists and stewards of the earth. Creating gardens with a purpose is easy to achieve with the use of perennials. Butterfly gardens, pollinator gardens, and meditation/relaxation gardens are very popular and rewarding. We grow our perennials on site at Turks’ Greenhouses and are well known for our large selection of hardy perennial plants. We are always adding new varieties to ensure our customers are provided with a superior selection. Available in multiples sizes all of our perennials are container grown and therefore can be planted into your garden anytime of the growing season. 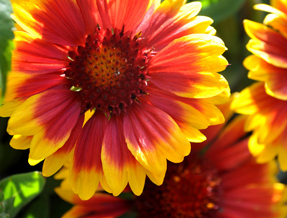 Following is a list of perennials available this year at Turks’ Greenhouses. We try to keep the list as accurate as possible, but availability can change rapidly in season. Some plants are grown in large quantities while others are not. If you are coming for a specific plant, please call ahead to avoid disappointment.